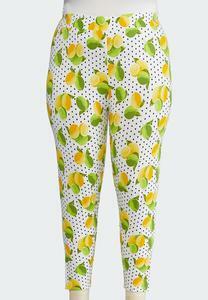 When life gives you lemons . . .and limes, you wear them! 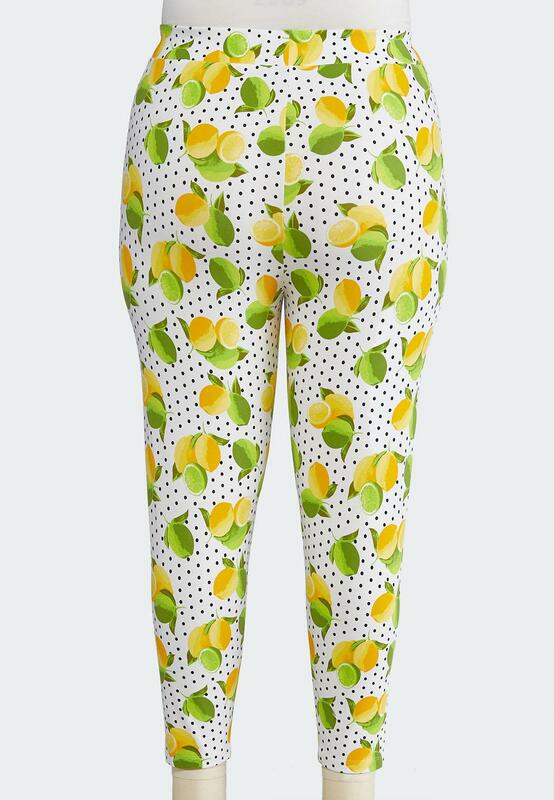 These bright and cheerful leggings feature a cool, cropped length, comfortable stretch fit and polka dotted print adorned with lemons and limes. 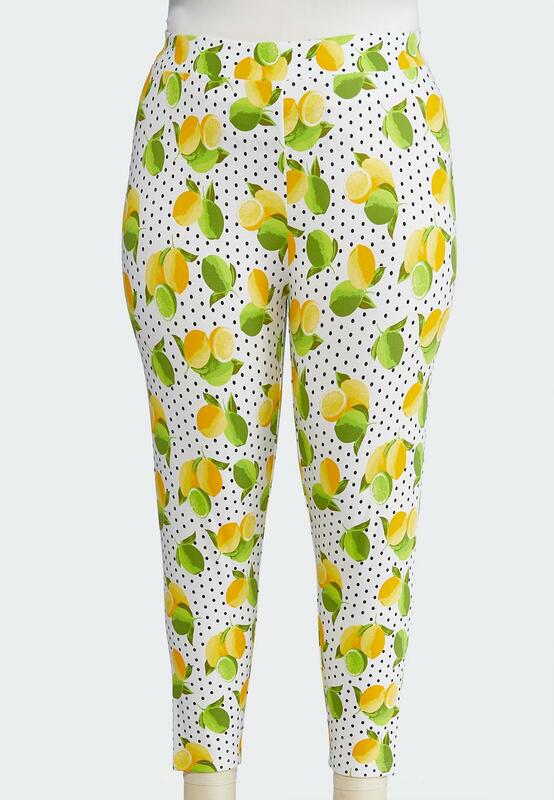 So comfortable and soft. Perfect fit! !